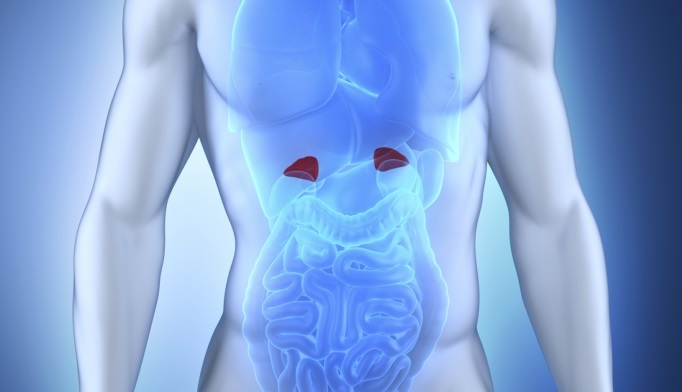 Patients with congenital adrenal hyperplasia (CAH) with 21-hydroxylase deficiency have increased mortality rates, according to a study published in The Journal of Clinical Endocrinology & Metabolism. More than 95% of all CAH patients have 21-hydroxylase deficiency. If untreated, severe cases are lethal due to salt crisis and hypoglycemia. However, there is a lack of studies that explore mortality in patients with CAH. To make up for that, researchers investigated the mortality and causes of death in a large sample of patients with CAH due to 21-hydroxylase deficiency. They used a national registry of individuals with CAH to identify 545 patients that fit their criteria. The study used a matched cohort design, with 100 unexposed individuals per CAH patient matched by birth year, gender and place of birth. Researchers found that CAH patients had increased mortality, with a 6.5 years earlier mean age of death compared with matched controls. Most of these deaths were due to adrenal crisis. Additionally, some CAH patients who died from cardiovascular disease had a co-diagnosis of a severe infection, suggesting that these deaths may have resulted from adrenal crises as well. Of CAH patients, those with the salt-wasting phenotype of the disease seemed to have the worst outcomes. Researchers believe that improved doctor awareness and patient education may reduce mortality, especially with improvement of glucocorticoid stress treatment. Congenital adrenal hyperplasia can be lethal in some cases, but mortality in this patient population has not been studied thoroughly. For this study, researchers evaluated mortality rates, causes of death and other factors to learn more about this patient population. Their findings suggest that increased mortality in patients with congenital adrenal hyperplasia is usually due to adrenal crisis.